The Ruth T. Bedford ’32 Merit Scholarship for the Arts will support as many as eight Foxcroft School students with an annual grant of $25,000. This scholarship is designed to support girls who share Ruth Bedford’s passion for the arts and who embody her sense of adventure and enterprise, as well as her integrity. The award is open only to new student applicants. An ideal candidate should demonstrate her dedication to the performing or visual arts and possess a strong desire to excel in that arena. She should be academically focused, inquisitive, involved in the arts community, passionate, and interested in developing leadership skills. It is our goal to award someone who will add to the intellectual and creative richness of the school community and who might not otherwise be able to attend Foxcroft. Eligible students should submit an application, which includes an essay, portfolio of work, and recommendation, electronically using the link below. Parents must submit a financial aid form each year as well. The deadline to submit all materials is February 1st. This scholarship is renewable annually provided that recipients demonstrate active engagement in the arts at Foxcroft, submit work on an annual basis to her digital portfolio, and complete an annual reflection. Renewal applications are submitted online. What other financial aid options are available? Please note that the majority of Foxcroft's financial aid budget is need-based, and need may play a factor in selection of Bedford scholars. Visit our "Affording Foxcroft" page for more details. You are welcome to contact our office with any questions: admission@foxcroft.org or 540.687.4340. Please note that your completed admission application must be submitted to be considered for the Ruth T. Bedford ’32 Scholarship for the Arts. The deadline to submit is February 1st. The Ruth T. Bedford ’32 Merit Scholarship for the Arts, which will support as many as eight Foxcroft School students with $25,000-a-year grants, has been endowed by a portion of the largest gift ever made to a girls’ high school, Head of School Catherine S. McGehee announced Wednesday. The announcement comes one year to the day after Foxcroft made headlines by revealing that Bedford, a 1932 Foxcroft graduate, had bequeathed the boarding and day school $40 million. Complete the Scholarship Renewal Form online. Contact Julie Fisher, Ruth T. Bedford ‘32 Merit Scholarship for the Arts Coordinator, at julie.fisher@foxcroft.org with any questions. Current Bedford Scholars will be notified if their renewal applications have been accepted by this deadline. February 1 is the deadline to submit an application to be considered for the Ruth T. Bedford ’32 Scholarship for the Arts. Please visit SSS by NAIS. Contact Karla Vargas, Director of Enrollment, at karla.vargas@foxcroft.org with any questions. Recipients of the Ruth T. Bedford ’32 Scholarship for the Arts will be informed by March 1. 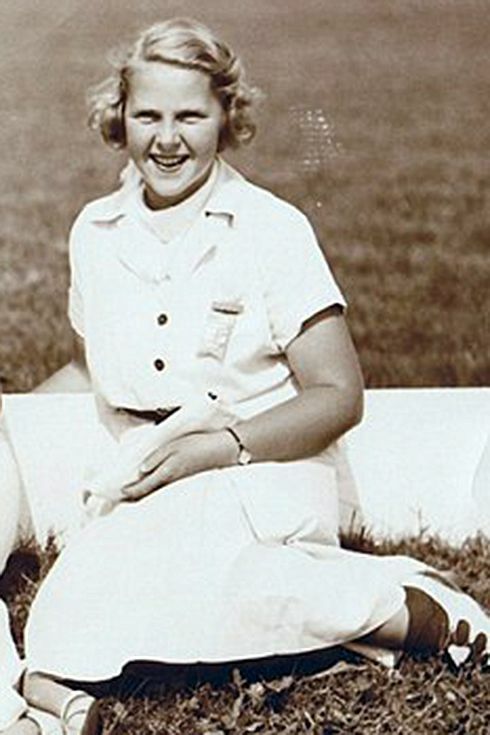 Ruth T. Bedford was a 1932 graduate of Foxcroft School. She was a daring and creative woman with a good deal of grit. 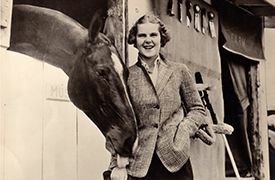 She was an accomplished horsewoman, sailor, golfer, tennis player, and licensed seaplane pilot.